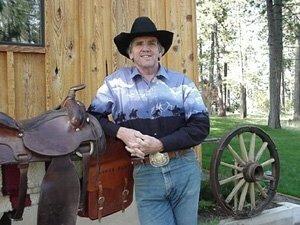 I have a million and one things to share with you, not to mention a great interview with Western author Stephen Bly. So, a quick set of announcements and then on to the interview. First, I have a new website that is up but not quite done. So, if you checkout JenniferLynnCary.com and notice some problems, please be patient. I will announce when it is finished. Second, I have just returned from the Colorado Christian Writers Conference (CCWC) in Estes Park and have lots to tell and pictures to share. Again, soon, I promise. Last (before the interview) this Wednesday is the seventh anniversary of the homecoming for our son, Ian. If you are led to think about us this week, I’d appreciate your prayers. Also, use this as a reminder to give your child an extra hug or pray for a family dealing with chronic illness in their midst. If you want to do something more substantial, may I suggest making a donation to the Make-A-Wish foundation? This group was wonderful to our family. And now, please enjoy getting to know more about author and Pastor Stephen Bly and his latest book Wish I'd Known You Tears Ago. Q: Why did you decide to try your hand at writing a contemporary Western instead penning another historical? SB: Actually, I've written a number of contemporary novels, for instance: The Austin-Stoner Files, The Hidden West Series, and Paperback Writer. One motivation was that the basic plot for The Horse Dreams series, a divorced teacher whose ex dies of a heart attack, before she gets a chance to offer peace and forgiveness, fit a contemporary scene better. As a matter of fact, that was my entire plot when I sat down to write the books. I don't plot much. Okay . . . I don't plot at all . . . it's more like a "guideline" idea. I often don't have a clue where a story is headed. PLUS. . . in this case, I knew lots of ladies like horses (and cowboys), even if it's only a daydream. So I combined those elements and placed the series in one of my favorite locations, the empty prairies of central Wyoming. It seemed like a good mix. Dev Worrell is the kind of caring, gifted schoolteacher that all of us can remember--mine was named Mrs. Welch, and she taught the 4th grade at Ivanhoe Grammar School. Q: Which character in this series did you most enjoy writing? SB: Casey Cree-Ryder. I was going to say Casey and Uncle Henry, but since Uncle Henry is a burro, I suppose he doesn't quite fit the category. Casey is a 29 year old, Wyoming "cowboy girl," who is dark skinned like her Native American/African American bloodlines but has the temperament of her Mexican American/Irish bloodlines. She is totally unpredictable in behavior . . . almost shocking in speech, and lives life with few restraints. She is very much the opposite of Dev. But they become great friends and throughout the series, you can see how each makes the other a better person. Casey is one person you would like on your side in a fight (guns, knives or fists.) One glance from Casey and tough cowboys are known to cross to the other side of the street. Yet, there is sensitivity, a crushed spirit and a broken heart that need healing. I like her too, because she has a waist-length, thick black braid that is purdier than bronc-rein. Q: What challenges did you face writing from a woman's point of view? SB: You know, I get that question a lot. Gals write to me and say, "How did you know what was in my mind?" I attribute my ability to write from a woman's point of view to two factors: first, I have been married to a talented, interesting, adventuresome, intelligent, creative and beautiful woman for 43 years. Second, I have LISTENED WITH ALL MY HEART to a talented, interesting, adventuresome, intelligent, creative and beautiful woman for 43 years. If a man will truly listen to women . . . he can write from their point of view. Q: You are among the first to write Christian Westerns. What changes have you seen in this genre? What advice do you have for others wanting to break into this market? SB: I'm not sure the genre has changed too much, but there are still only a few that can master it. Too many writers want to tell a modern story, and they dress it up like a doll in cowboy gear. That's not a western. If you are going to write about the 1800's, you have to know the west-the history, the geography, the politics, and human nature of 1880. Many read a Louis L'Amour novel and say, "I can do that." They can't. Most good writers can research the right words, but they don't have the right tune. It's the rhythm, the tone, and the flow that makes a great western. It's a tough thing to teach. If you want to break into the western market, spend the next 10 years roaming up and down every dirt road in the 11 western states. Read every book you can find about the old west and published by University of Oklahoma, University of Nebraska, University of California, and University of New Mexico press-and a few others. For months, study every old map of the west you can find, memorize such books as Ramon Adams' "Western Words" . . . Andy Adams' "Log of a Cowboy" . . . Charlie Siringo's "A Texas Cowboy" and Fay E. Ward's "The Working Cowboy's Manuel." Then move to Denio, Nevada and work the Fall Gather for one of the Big Basin ranches. That'll work. Get your facts right and forget most of what you've seen in western movies. Q: As mayor of Winchester Idaho, pastor of a church, and a prolific writer, what does your schedule look like? How many hours a day are you able to spend writing? SB: Lucky for me, there are forty hours in a day. That's the only way I keep up. I go to bed about 10 - 10:30 and get up about 3:30. I like to spend 5 to 10 hours a day writing-more when the deadline approaches. But there are breaks. I travel a lot around the west and find time to read lots of non-fiction books about subjects that fit my stories. I have all the time I need to do the important things of life. I just have to keep reminding myself what those important things are. Can't wait to hear all about the conference. And I'll be praying especially hard for you and Phil on Wednesday. I've been slacking on commenting. Sorry. :( I must say I love the new website. Dare I ask who the designer is or can I already guess? Miss talking from you. Hurry up and finish school so we can start chatting on IM again. I enjoyed officially meeting you and talking to you at the Colorado conference. I loved your interview with Stephen Bly. I've enjoyed reading his books in the past.